Letterplatters is a creative playground based in Jakarta, Indonesia. literature and typography, which founded by Srikasih Febriyanti in early 2013.
while brews workshop and initiative that addressed on education and culture close to home. for public to get closer to their own handwriting through lettering art. to explore ways of visual communication. Believing that design would help increasing reading literacy, Letterplatters concentrates on grids, composition and editorial design. Cooking up collectible titles to let words live through poetry, stories and snail-mail treat. All released publication are specially tailored by Letterplatters as we believe letter lives longer in words, paragraphs and stories worth reading. Letterplatters publishes books and zines through the imprint, Kreasi Komunikata. 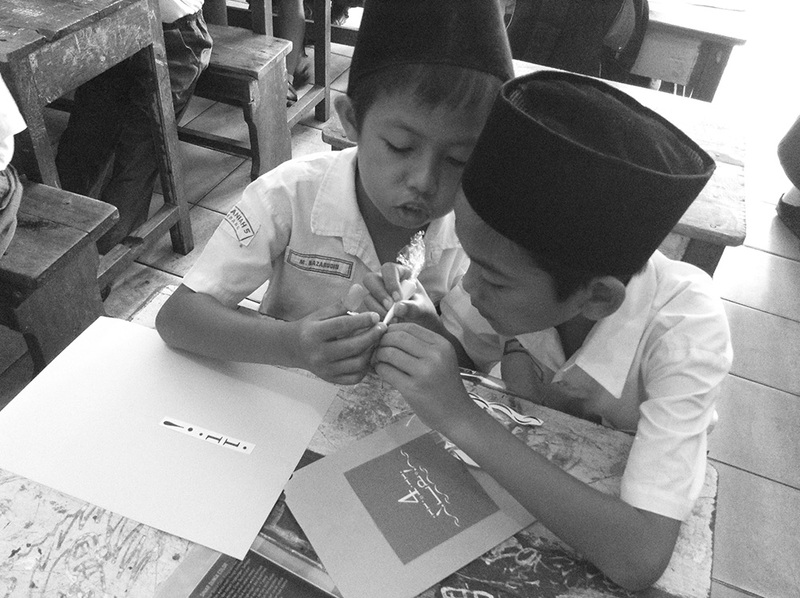 to South Sumatera to let them playing with one thing Letterplatters dearly loves: letters! they were expected to get closer to letters, words, books and (hopefully) idea and imagination. and a set of 10 numbers beside all those punctuations, could be a useful tool to enhance creativity. somewhere from education, and of course, the love of knowledge itself. take alphabets they see only as given element on the books they read. limitless creativity in the future. All images and materials shown are copyright protected and belong to Letterplatters of Kreasi Komunikata. For further usage and/or feature, please kindly contact letterplatters@gmail.com for permission. All rights reserved — 2019. Letterplatters logotype is using Ayosmónica font by German Ventriglia.